Can be personalised with a first name making for a completely unique gift. 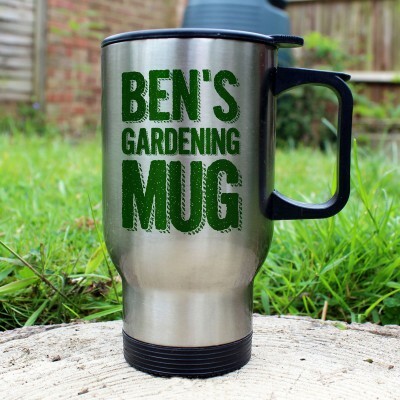 Made from stainless steel and completely dishwasher safe, this gardener's mug is great to take out to his garden or the allotment. They'll love sipping his favourite drink from his new travel mug. 15.5cm x 12.5cm with handle.